Now I do watch some TV but prefer not to invest too much time in USA TV as something good, I either miss or it seems to get canned. For example, I liked Flash forward and that was canned and ended up with a stupid end. Revolution was ok, got iffy. This article is about the 2013 revival. For the original show and all its revivals, see The Tomorrow People. The Tomorrow People is an American science fiction television series developed by Greg Berlanti, Phil Klemmer, and Julie Plec that aired on The CW during the 2013–14 American television season. It was a remake of the original British television series of the same name, created by Roger Price, which ran from 1973–79. The series follows a group of young people who possess psionic powers as the result of human evolution. The Tomorrow People premiered on October 9, 2013. Originally aired Wednesdays at 9:00 p.m. Eastern/8:00 p.m. Central, but on March 17, 2014, it was moved to Mondays at 9:00 p.m. Eastern/8:00 p.m. Central. On May 8, 2014, The CW canceled The Tomorrow People after one season. Its been good, enjoyed it, and as you can see above its been canned. The chance the sit and read outloud would have been fun this week, but sadly it was one of those weeks where the were not enough minutes in the hour, hours in the day and the days in the week. Covering my own work load, and then parts of the bosses job has been tough, but that should resolve it self shortly. The image i suppose could also reflect the need of a diary or a to do list both of which have been used extensively. For todo and tracking I use something called toggl which is an online service which gives some reports. Just one work item to complete and thats next weeks schedule. Otherwise, not playing. Ive been pondering a replacement phone for a while, and finally a plunge has been taken. Its an LG G3 which is current but not cutting edge, and comes along with “all you can eat” data and texts and 600 minutes. In fairness, i suspect its overkill, but Three provided the cheapest overall cost. Vodafone was a close second, but price is kind here. Last up is some ghost busting, or more precisely a bit of cleaning needs done and has needed to be done for a while. I may need to get up of my arse and do more. Lastly worth a reminder to you all, hot food and drink can burn and leave you with a sore throat! I post all sorts of musical nonsense from time to time, and Spotify is the most used app on my phone, tv and home cinema! Like many people I fall back to a few CD’s and I revisited Train again last week, they are not the one. 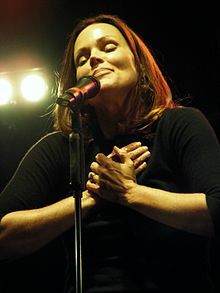 Belinda Jo Carlisle (born August 17, 1958) is an American singer who gained worldwide fame as the lead vocalist of the Go-Go’s, one of the most successful all-female bands of all time. The group sold more than seven million albums in just three years and she later went on to have a successful solo career with hits such as “Mad About You“, “I Get Weak“, “Circle in the Sand“, “Leave a Light On” and “Heaven Is a Place on Earth” among others, which were major successes in the United States and the United Kingdom as well as internationally. Her autobiography, Lips Unsealed, published in June 2010, was a New York Times Best Seller and received favorable reviews. On August 11, 2011, she received, as a member of the Go-Go’s, a star on the Hollywood Walk of Fame. as the weekend vanishes again…. Well thats another weekend gone just like that. Feels like I need a holiday already. So today I wore many hats… or did I? So today I decided to wear many hats and fun was had by all. Or then again no. Wowsers tough day in the office, with my work load, others I had to do, filling in project information, sorting our an HR issue, problems with pay rises, it just seemed never ending. I have now mind you, caught up. But it is 11pm, and the laptop has been out for 3 hours to make this all happen. A day of speaking to customer tomorrow may yet provide some welcome relief! Also exercise tomorrow night should cheer me up. This is how to wear and juggle all those hats…. Since the release of the Bat Out of Hell album, Meat Loaf has possessed the kind of international status that few artists obtain. His larger-than-life persona and performances are fuelled by a passion fortheatre and storytelling. This candid profile reveals the man and his music through his own testimony and from the accounts of those closest to him. Meat Loaf’s life story is one of epic proportions – he survived a childhood of domestic violence only to face years of record company rejection before eventually finding global fame. Along the way he experienced bankruptcy, health scares, bust-ups and one of the greatest comebacks of all time. All this and more is explored in the film, which features behind-the-scenes footage of his recent Las Vegas residency, plus plans for a new album featuring songs by Jim Steinman. The film also revisits the Dallas of Meat Loaf’s early years and includes insights from his high school friends, who reveal how Meat really got his famous moniker. After his mother died, Meat Loaf fled Texas for the bright lights of LA. He sang in itinerant rock bands, but no-one would give him a recording contract. By 1969 he was broke and disillusioned. His break would take the form of a musical. He was offered a part in Hair, having been invited to audition whilst working as a parking attendant outside the theatre. Shortly afterwards he met Jim Steinman and the road to success really began. Yet the Hair gig was the beginning of an enduring love affair with theatre that is reflected in his singing persona today.